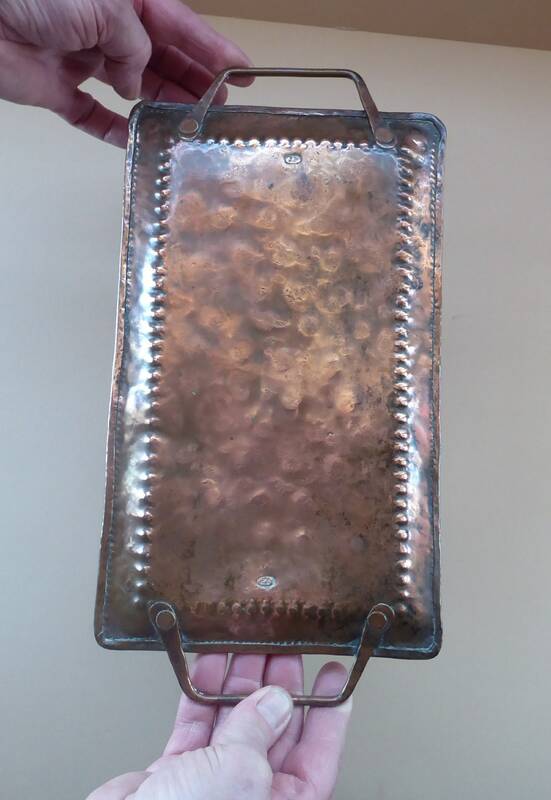 This is a fine little Arts & Crafts hand beaten copper tray - which has been made by John Pearson. 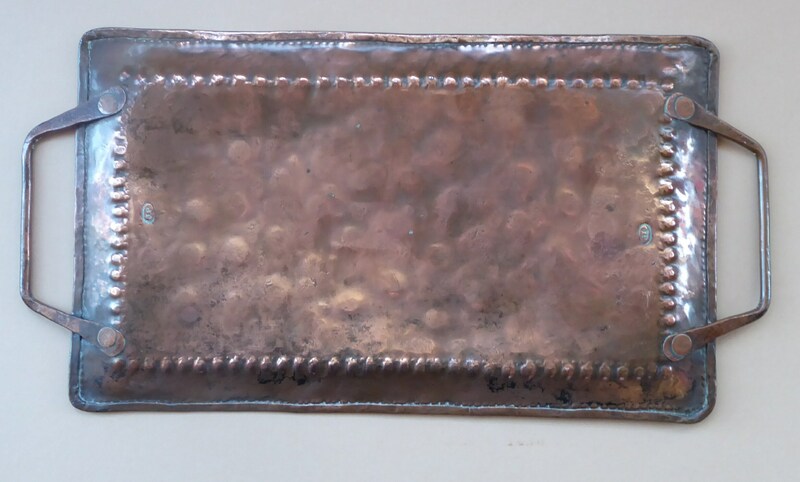 The surface of the tray is plenished with subtle hammered decoration giving texture to the tray. 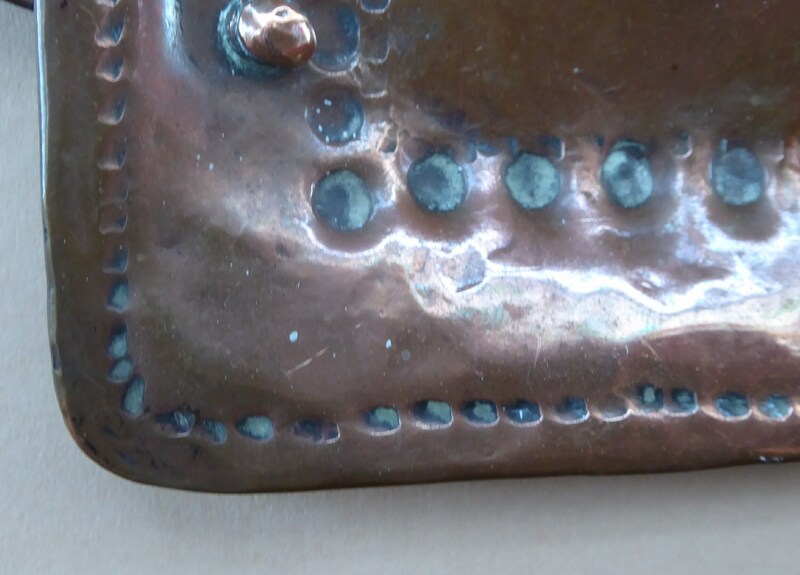 There is a little repousee work forming a decorative border around the edge consisting of a string of tiny dots - and further in more repousee work forming a second border of little impressed circles. It is oblong in shape. 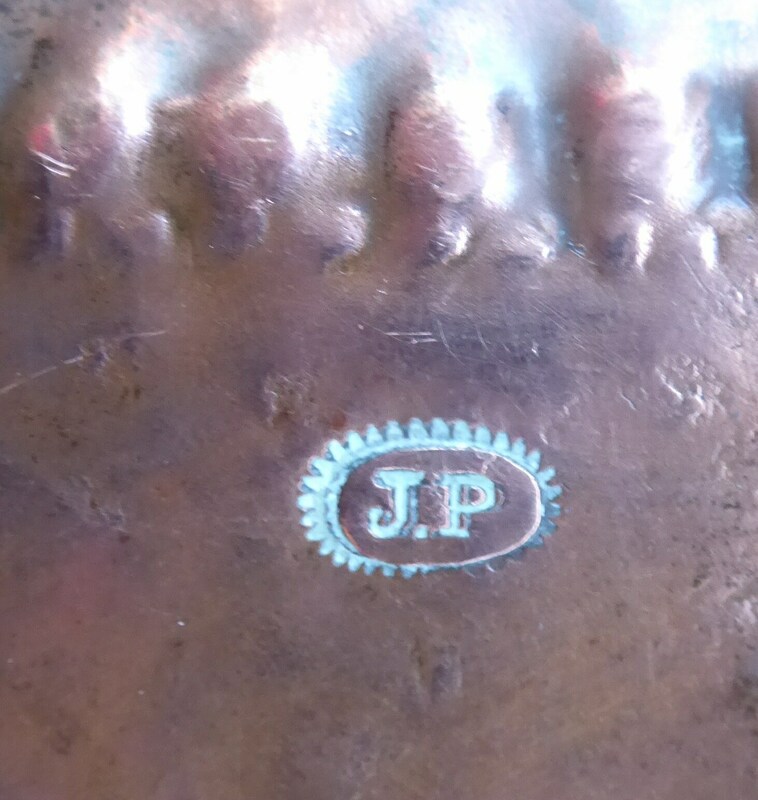 It has two applied and hand riveted handles to either side - and on the back of the tray, there are initials and mark for Pearson stamped twice, as photographed. 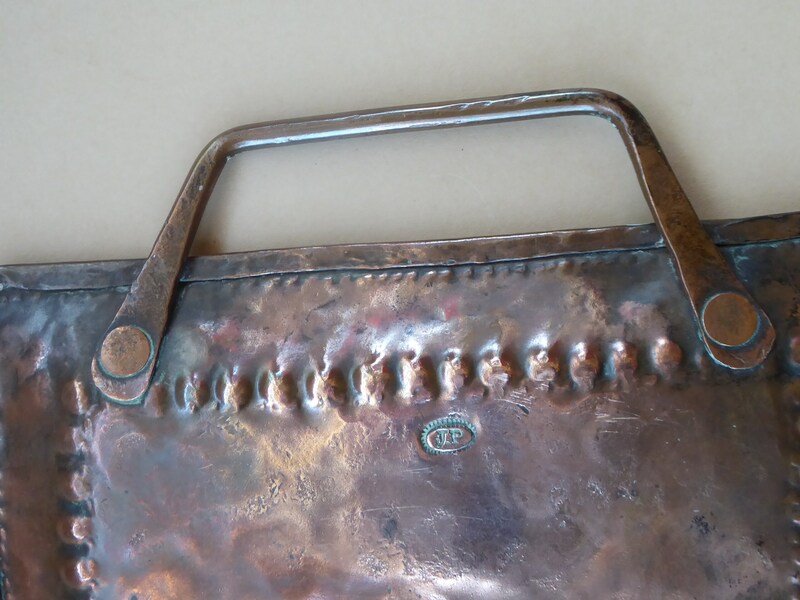 It dates to after 1892 when Pearson moved from the Guild of Handicraft in London and re-located to Newlyn in Cornwall. 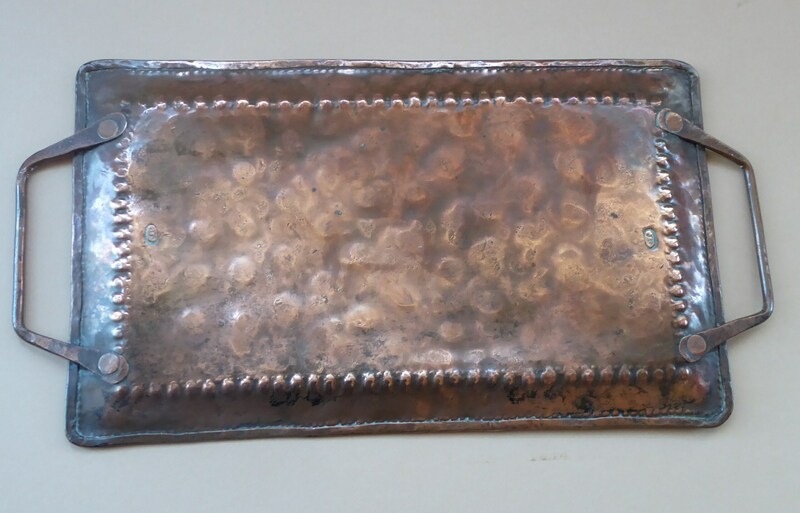 The tray measures from handle to handle 13 1/2 inches and with main body is 11 1/2 inches x 7 inches. 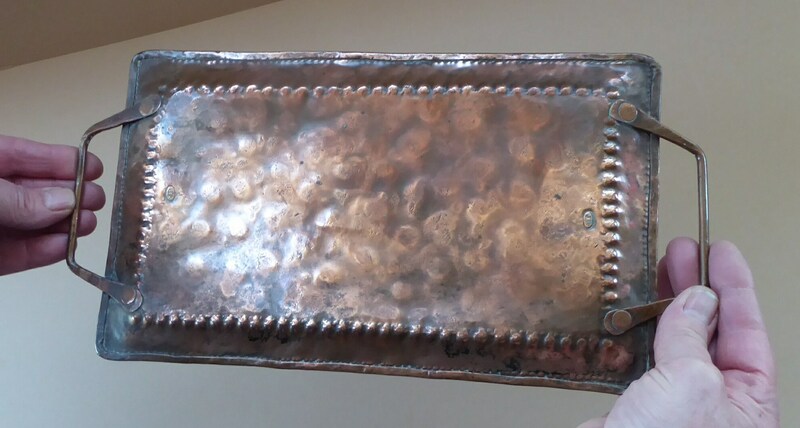 A small tray which would be perfectly suitable for serving little drinks for a couple - or just for display on a country dresser. 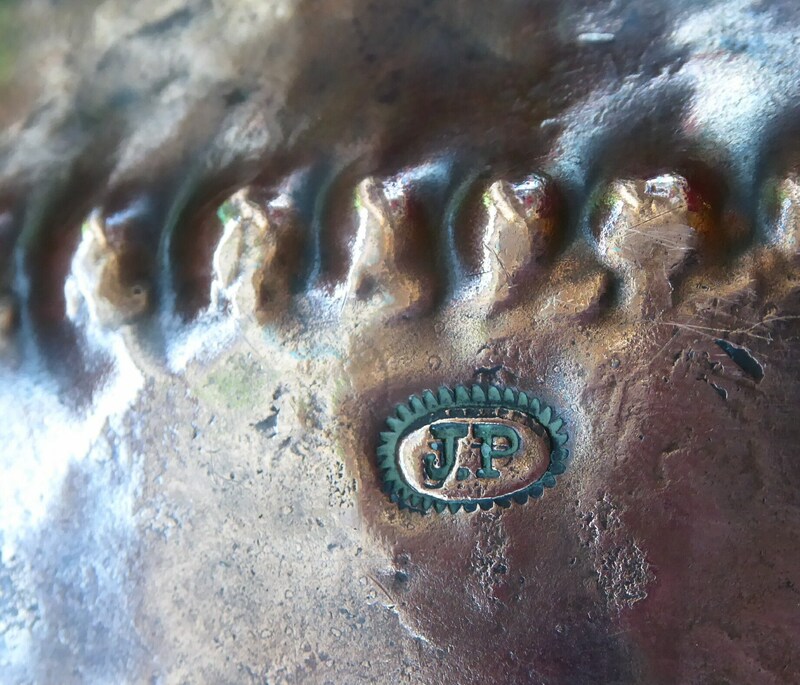 It is in good condition with its natural patination of age. 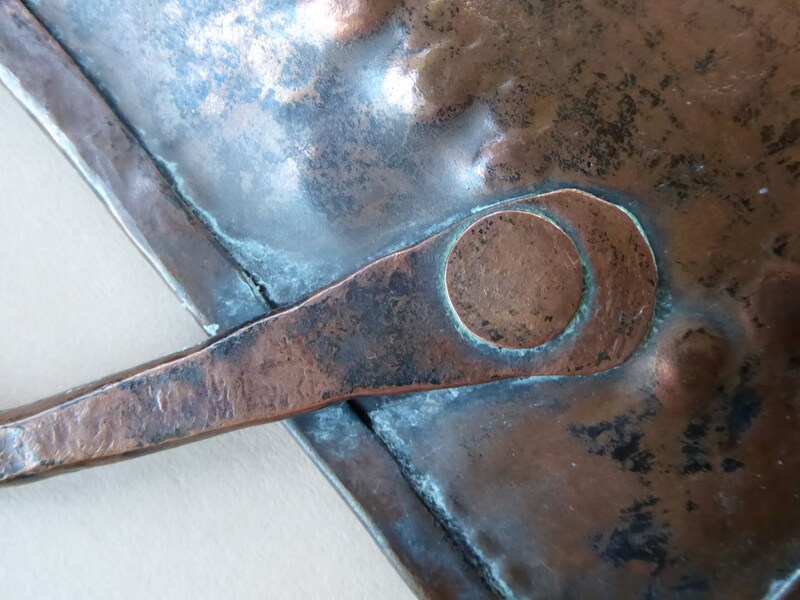 The handles are nice and firm. 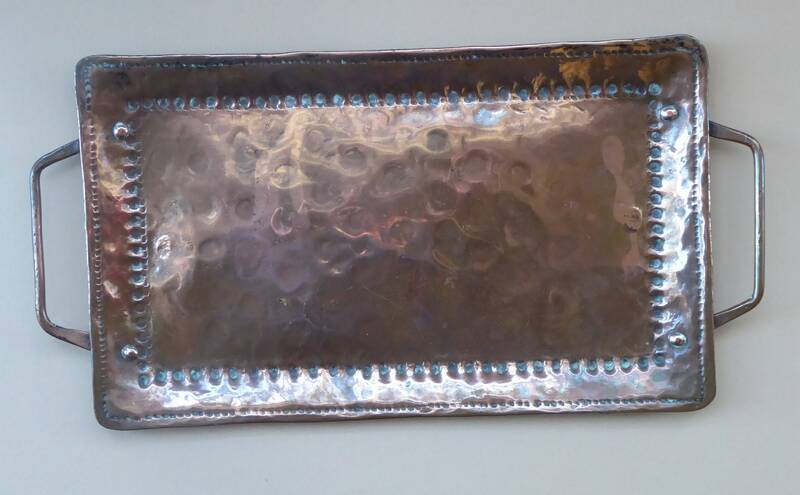 A fine quality piece of Arts and Crafts metalwork.